Grandfather Cuts Loose the Ponies — Field & Compass, Ltd. COMMENTS: Most of us know it as Wild Horses Monument, but David Govedare of Chewelah named his sculpture after a Great Spirit gifting horses to the land. As I drove eastbound on I-90, a bright blaze combed the grassy bluff toward the pack of wild horses. I pulled over and saw children look from their mother to the firemen, who were dressed in white jumpsuits, sweating from the noontime sun, the heat of the flames, and the weight of the water in their hoses. 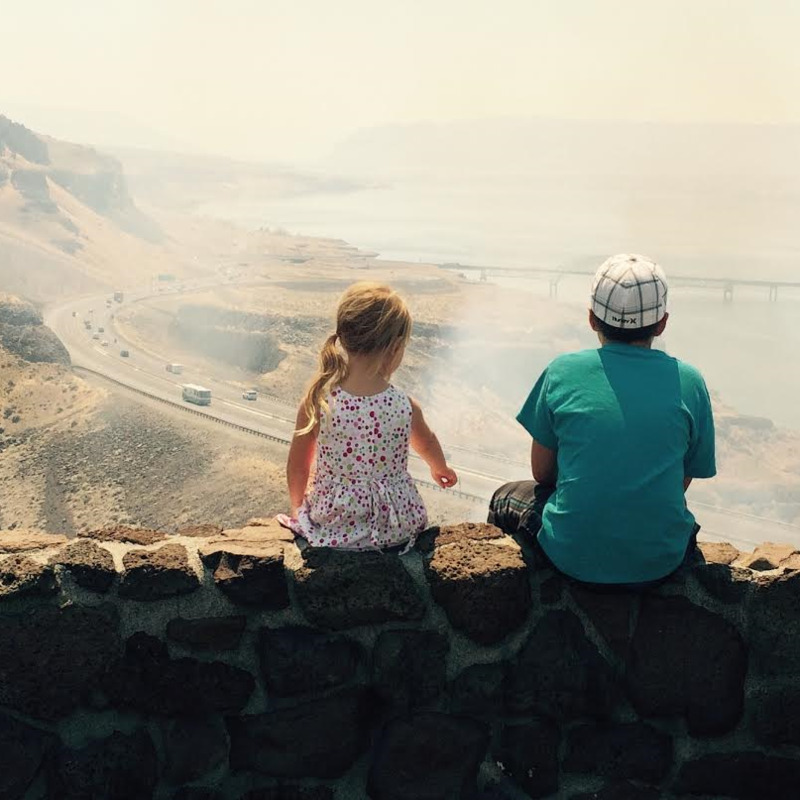 If I were to forge my own statue of Central Washington, it might look like this: oxidized steel, a containable fire, and children gazing at their world. KEY FEATURES: Public art, road trip highlights, stretching the legs. RECOMMENDATIONS: When you reach your destination, keep interacting with the work of northwest artists. In the Methow Valley, visit TwispWorks. In Spokane, do a sculpture walk, or of course The Bartlett offers visual art to complement live music and spoken word performances.